The holidays bring joy, thankfulness and much needed time with friends and family, but deciding on a unique christmas gift to show the person that you love how much they mean to you isn’t always as blissful. That is why FingerprintDoorLocks.com would like to help make shopping for your loves ones easier this year. You can never go wrong with a Unique Christmas Gift providing a safe and secure home for others. 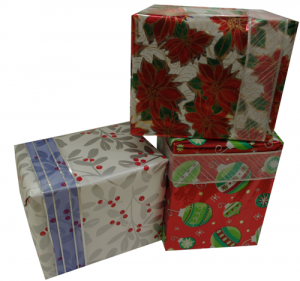 We are even providing Free Gift Wrapping (just choose this option when you add an item to the cart). This attractive keyless entry deadbolt is great for locking up your home and Unique Christmas Gift; front door or a closet with valuables! A great gift for a person with guns! By using this lock, you maintain complete control over who has access to areas you want to protect. The BioBolt X2 biometric lock also provides you with a convenient solution to avoiding lost or stolen keys. It provides three options for access: Fingerprint Scan, Key or Pin Code. It contains capacity for up to 99 different users, making it ideal for any home. Need to quickly add or delete a user? No problem as you can manage your users via the pin pad.The Brushed Nickle finish is the sold more than any other finish! The 1Touch IQ2 has a flat top with three different finishes to choose from and offered in two different configurations. The 1Touch IQ2 model will accommodate up to 36 fingerprint users (2 scans each) and 78 pin number users. With this model you have the option to purchase an audit trail hand held USB device with software programming kit which will allow you to see who came in and at what time. The other model is the 1Touch IQ2-HC (high user capacity) which does not offer the ability to use the programming kit but instead holds 75 users. The New & Improved "2010" 1TOUCH Fingerprint Door Locks are now available!!! Brushed Nickel BioBolt X2&#039;s and 1TouchIQ2&#039;s are now in Stock!